The VEP is an evaluation of the entire visual system from the retina through the primary visual cortex. It measures the conduction time of neuronal activity from the retina to the occipital cortex and is used clinically as a measure of the functional integrity of the visual system. The VEP was initially described by Adrian et al2 in 1934 and has been used in clinical and research laboratories for almost 50 years. In fact, it is the pioneering work of Halliday et al,3, 4, 5 in the early 1970s that showed that the pattern reversal VEPs (PVEPs) are usually delayed in optic nerve demyelination. They were also the first group to report that pattern reversal VEP delays in optic nerve demyelination can occur with no sign or symptoms of optic nerve involvement. For many years, visual electrophysiology laboratories around the world recorded VEPs using different techniques. Consequently, there were many divergent opinions concerning the neurophysiological basis of the components of the responses, the clinical usefulness of the technique, and the abnormalities associated with specific diseases. To address these problems, the International Society for Clinical Electrophysiology of Vision (ISCEV) published standard procedures6 for clinical visual electrophysiology testing. VEPs are typically recorded in responses to a flash of pattern stimuli. When elicited by a flash stimulus, the VEPs are called flash visual evoked potentials (FVEPs). When evoked by a pattern stimulus, either in a phase reversal manner or in a contrast appearance-disappearance manner, the VEPs are called pattern onset/offset visual evoked potentials (onset/offset VEPs), respectively. The pattern reversal stimulus is the preferred stimulus choice for most clinical situations. The VEPs, elicited to a pattern reversal stimulus (PVEPs), are less variable in waveform and timing than the VEPs elicited by a flash stimulus (FVEPs). In fact, the PVEPs show relatively little variation between subjects with minimal interocular difference variation within a subject, and minimal variation with repeated measurements over time. The PVEPs are useful in detecting optic nerve and/or optic tract anomalies. The pattern onset/offset stimulus shows greater inter-subject variability compared to the PVEPs. However, it is best suited for the detection or confirmation of malingering and for evaluation of subjects with nystagmus because the technique is less sensitive to confounding factors such as poor fixation, eye movements, or deliberate defocus. Finally, the flash stimulus is useful when poor optics, poor cooperation, or poor vision makes the use of pattern stimulation inappropriate. The flash stimulus has great benefits when testing babies and infants who cannot fixate. Demonstration of an intact FVEP provides evidence that some visual input has reached the occipital cortex, but does not demonstrate the presence of conscious visual perception. To comply with standard procedures, at least one of the above mentioned VEPs (FVEPs, PVEPs, onset/offset VEPs) should be included in every clinical VEP testing. In fact, the standard procedures do not require that all three protocols be used for every investigation on every subject. In general, a single stimulus protocol will be appropriate. To standardize the way visual evoked potentials were recorded and to ensure quality and reproducibility of the results across clinical and research laboratories, the ISCEV published standardized procedures to record visual evoked potentials.1,6 Other stimuli can also be used to record visual evoked potentials (Table 1). These specialized VEP stimuli can be used to address more specific dysfunction of the visual pathways. However, at this time, these specialized VEP stimuli are not used in clinical visual electrophysiology VEP testing; these protocols are mostly used in research. Table 1: Specialized visual evoked potentials stimuli. Used to measure visual cortex binocularity in amblyopia. Used as an indicator of early color vision changes by assessing the integrity of the neural pathways responsible for color vision. To evaluate the VEP responses of each hemisphere separately. Used to evaluate independent responses from multiple areas of the visual field simultaneously. It helps the quantification of localized visual field damage. Used in early detection and monitoring of strabismic amblyopia. To estimate visual acuity in babies, infants, and uncooperative young children. Multiple types of electrodes are available to record visual evoked potentials. However, surface skin electrodes, such as gold disc electrodes or sintered silver-silver chloride (Ag-AgCl) electrodes, are recommended to record VEPs. Before applying electrodes, the patient’s skin must be properly cleaned and the use of a paste or gel around the electrodes is necessary to ensure a good and stable electrical connection. In most circumstances, the electrode impedance should be below 5 kΩ. When standard visual evoked potentials are being recorded, testing protocols suggest the use of a single midline occipital active electrode (OZ). However, when chiasmal or retrochiasmal anomalies are suspected, it is recommended to use three occipital active electrodes. The first occipital active electrode should be positioned at midline (OZ) while two other occipital active electrodes should be positioned either right (O1) or left (O2) from the midline electrode (OZ). The occipital active electrodes should be placed following the International 10/20 system (Figure 1). A reference electrode is generally placed at FZ, while a ground electrode is placed at the mastoid/earlobe position or at the earlobe. Figure 1. International 10/20 system of electrode application. From the open access book Advances in Mechatronics. Mansor W, Shaifulrizal Abd Rani M, Wahy N. Integrating neural signal and embedded system for controlling small motor. 2011; 31-42. http://issuu.com/vnchampion/docs/advances_in_mechatronics. To record visual evoked potentials, the pupils must remain undilated in all subjects. Furthermore, when pattern stimuli are used, corrective lenses must be used if needed to achieve best corrected visual acuity. Usually, the VEP responses are recorded with a minimal analysis time of 250 ms. However, when onset/offset VEP stimuli are used, as well as when children are tested, the analysis time must be extended to 500 ms. Finally, a minimum of 64 responses should be averaged while recording VEPs in subjects. To increase reproducibility and reliability of the VEP results, at least two separate recordings should be performed on each subject. A flash of light should be used to record the FVEPs. Per standard procedures, a short (less than 4 ms in duration) white flash (intensity: 3 cd.sec.m-2) with a stimulus rate of 1 flash per second should be used. The flashes can be sent using either a hand-held device or an integrating bowl (Ganzfeld). Changes in flash duration, intensity, frequency, and color will alter the standard FVEP waveform, so any deviation from the standard procedures should be carefully noted and analysis of the results should be done accordingly. The standard pattern reversal stimulus is a high contrast (should be equal to or greater than 80% contrast) black and white checkerboard presented on a computer screen. The black and white checkers should alternate at a rate of 2 reversals per second and at least two different check size stimuli should be used. Standard procedures require that the stimulus subtend a visual angle of 0.25 degree and 1 degree. Finally, subjects should be seated at approximately 50 cm to 150 cm from the stimulator (computer screen). Figure 2. Schematic representation of a pattern reversal stimulus. The pattern onset-offset stimulus also uses a high contrast (should be equal to or greater than 80% contrast) black and white checkerboard pattern. However, as opposed to the pattern reversal stimulus, the checkers do not alternate. Instead, the entire stimulus (checkerboard) appears (200ms) and then disappears (gray background; 400 ms) from the computer screen. Similarly to the pattern reversal, at least two pattern element sizes should be used (0.25 degree and 1 degree). Figure 3. Schematic representation of an onset/offset stimulus. The FVEP consists of a series of six negative and positive waves: N1, P1, N2, P2, N3, P3. As a general rule, the major wave analyzed is P1. Figure 4. Standard FVEP waveform. Odom JV, Bach M, Brigell M, Holder GE, McCulloch DL, Tormene AP, Vaegan; ISCEV standard for clinical visual evoked potentials (2009 update). Documenta Ophthalmologica. 2010; 120(1): 111-119. Used with permission from Springer Science+Business Media. The PVEP consist of three major waves: N75, P100, and N135. As a general rule, the major wave analyzed is the P100 wave. Figure 5. Standard PVEP waveform. Odom JV, Bach M, Brigell M, Holder GE, McCulloch DL, Tormene AP, Vaegan; ISCEV standard for clinical visual evoked potentials (2009 update). Documenta Ophthalmologica. 2010; 120(1): 111-119. Used with permission from Springer Science+Business Media. The pattern onset-offset VEP consist of three major waves: C1, C2, C3. As a general rule, the major wave analyzed is the C2wave. Figure 6. Standard onset/offset VEP waveform. Odom JV, Bach M, Brigell M, Holder GE, McCulloch DL, Tormene AP, Vaegan; ISCEV standard for clinical visual evoked potentials (2009 update). Documenta Ophthalmologica. 2010; 120(1): 111-119. Used with permission from Springer Science+Business Media. Visual evoked potential (VEP) waves are analyzed in peak time (also referred to as latency or implicit time) and in amplitude. The amplitude of the first VEP wave is always measured from the pre-stimulus baseline to the peak of the wave under evaluation. All other waves are calculated from the peak of the preceding wave to the peak of the wave under evaluation. Peak times are measured from the flash onset to the peak of the appropriate waveform component. Overall, peak times are more reliable than amplitudes. In normal subjects peak time variability is approximately 2 to 5 % within and between recording sessions, whereas amplitudes can vary by as much as 25% within and between subjects. VEP amplitude is a measure of the size of the response, whereas VEP peak time reflects transmission time from the retina to the occipital cortex after the onset of stimulation. Decreases in VEP amplitude generally result from a reduction in the number or sensitivity of neurons in the retinocortical pathway. Increases in VEP peak time may reflect abnormal retinal transmission, defects in the myelin of the visual pathway from the optic nerve to the occipital cortex, or even synaptic abnormalities in the occipital cortex. Interpretation of VEP can be tedious at times, depending on the subject’s cooperation, visual acuity, age, medication, media opacity, etc. In fact, many factors affect the VEP’s major components and should be carefully reviewed before commenting on VEP responses. This is why it is important to ensure that each visual electrophysiology laboratory establishes its own normative VEP values using its own stimulus and recording parameters. Given the multiple factors that can affect VEPs, it is also important when building a normative database to include factors such as age, refractive error, media opacity, etc. When a pattern stimulus is used to record a VEP, it is imperative that the subject be tested with best corrected visual acuity. In fact, uncorrected refractive errors will significantly affect the VEP results.7 In subjects where the vision is blurred due to uncorrected refractive errors, the VEP elicited to pattern stimuli with small check sizes will be delayed. 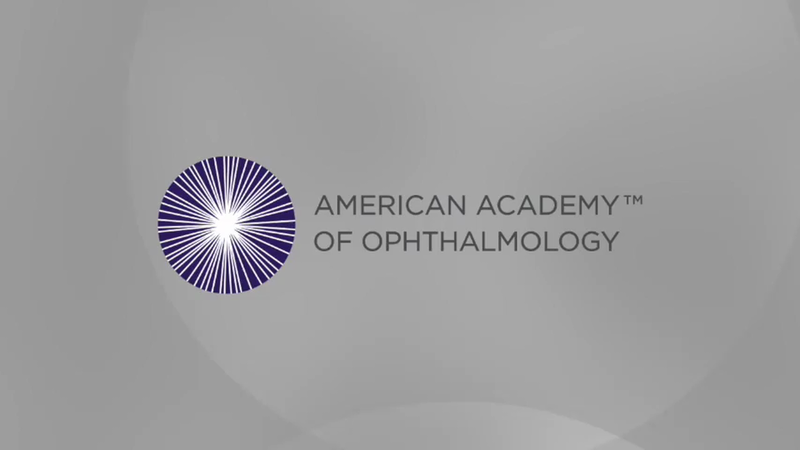 Therefore, careful evaluation of PVEPs is necessary to determine if delayed responses are the result of uncorrected visual acuity or the result of an optic nerve/tract problem. Similarly to when a subject has uncorrected refractive errors, a decrease in pupil size will result in a delay of the VEP when evoked to a pattern stimulus. The latter can be explained by a decrease in retinal illuminance. In fact, the peak times can be shorter by nearly 20 ms when pupil diameter increases from 1 to 9 mm.8 Other factors that may impact retinal illuminance (ptosis or tinted lenses) should also be considered when interpreting VEP elicited to pattern stimuli. Visual evoked potential parameters in babies, infants, and children reflect not only pathological processes but also maturation of the visual system. Special attention must be paid when evaluating electrophysiological parameters in children because maturation of the visual system, and not pathological processes, could be the cause of possible changes. In fact, PVEP peak times shorten exponentially from birth to 6 months of age and then only slightly shorten until 5 years of age. Peak times may shorten during adolescence but change very little thereafter until they increase slightly after the sixth decade of life. In the pediatric population, when there are concerns about cortical visual impairment or delayed visual maturation, it is recommended to wait until the child is at least 6 months old before recording the PVEP. When used in conjunction with the electroretinogram (ERG) and/or the multifocal electroretinogram (mfERG), the VEP becomes clinically useful in distinguishing retinal versus optic nerve sites of dysfunction in subjects with only subtle visual disturbances and minimal fundus anomalies. Some medications can have a deleterious effect on VEP waves. Most likely the VEP peak times will be delayed in patients taking medications such as ethambutol, cisplatin, and deferoxamine, to name a few, will be delayed.14, 15, 16 Before interpreting VEPs, a thorough review of the literature is always necessary. Visual evoked potentials alone are of no clinical value unless they are correlated with clinical findings. Similar VEP results can be found in multiple disorders, and without correlation with clinical findings or other tests, it is impossible to make a clear diagnosis. In amblyopic patients, the VEPs evoked to pattern stimuli from the amblyopic eye are generally smaller in amplitude compared to the VEPs recorded from the sound eye. However, note that different types of amblyopia can result in different VEP findings. In fact, in patients affected with anisometropic amblyopia, the VEP responses recorded from the amblyopic eye are generally smaller compared to the VEPs recorded from the sound eye. However, in subjects affected with strabismic amblyopia, normal VEPs can be recorded from both the amblyopic eye and the sound eye.19 Careful attention to the type of amblyopia is necessary when evaluating VEPs in amblyopic subjects. VEPs are often used in ophthalmology and neurology in cases of unexplained vision loss. They are used to detect, quantify, and monitor abnormalities of the intracranial visual pathways, including the optic nerves, the optic chiasm, and the visual cortex. However, it is important to keep in mind the abnormalities seen in VEPs are only suggestive of an , but are not diagnostic of a specific disorder. VEP abnormalities do not specify etiology. There are multiple factors that can affect the VEP responses, including retinal disease, age, and gender, just to name a few. Interpretation of VEPs must be considered within the context of the subject’s clinical appearance and the information available from other tests and examinations. Odom JV, Bach M, Brigell M, Holder GE, McCulloch DL, Tormene AP, Vaegan. ISCEV standard for clinical visual evoked potentials (2009 update). Doc Ophthalmo. (2010); 120:111-119. Adrian ED, Mathews BHC. The Berger rhythm: Potential changes from the occipital lobes in man. Brain. 1934; 57:365-385. Halliday AM, McDonald WI, Mushin J. Delayed visual evoked response in optic neuritis. Lancet. 1972; 1:982-985. Halliday AM, McDonald WI, Mushin J. Visual evoked response in the diagnosis of multiple sclerosis. Br Med J. 1973; 4:661-664. Halliday AM, McDonald WI, Mushin J. Delayed pattern evoked responses in optic neuritis in relation to visual acuity. Trans Ophthalmol Soc UK. 1973; 93:315-324.
International Society for Clinical Electrophysiology of Vision. Standards, Recommendations, and Guidelines. http://www.iscev.org/standards/index.html. Sokol S, Moskowitz A. Effect of retinal blur on the peak latency of the pattern evoked potential. Vision Res. (1981a); 21: 1279-1286. Sokol S, Domar A, Moskowitz A, Schwartz B. Pattern evoked potential latency and contrast sensitivity in glaucoma and ocular hypertension. In: Spekreijse H., Apkarian P.A., eds: Electrophysiology and pathology of the visual pathways. Hague: Dr w junk BV Publishers. Doc Ophthalmol Proc Ser (1981b); 27: 79-86. Brecelj J. From immature to mature pattern ERG and VEP. Doc Ophthalmol. 2003; 107:215-224. Sokol S, Mokowitz A, Towle VL. Age-related changes in the latency of the visual evoked potential: influence of check size. Electroencephalogr Clin Neurophysiol. 1981c; 51:559-562. Mokowitz A, Sokol S. Developmental changes in the human visual system as reflected by the latency of the pattern reversal VEP. Electroencephalogr Clin Neurophysiol. 1983; 56: 1-15. Fishman GA, Birch DG, Holder GE, Brigell MG. Electrophysiologic Testing in Disorders of the Retina, Optic Nerve and Visual Pathway. Ophthalmology Monograph Series, 2nd edition; 2001:237-280. Woung LC, Jou JR, Liaw SL. Visual function in recovered ethambutol optic neuropathy. J Ocul Pharmacol Ther. 1992; 11:411-419. Maiese K., Walker R.W., Gargan R, Victor JD. Intra-arterial cisplatin-associated optic and otic toxicity. Arch Neurol. 1992; 49:83-86. Marciani M.G., Cianciulli P., Stefani N., et al. Toxic effects of high dose deferoxamine treatment in patients with iron overload: an electrophysiological study of cerebral and visual function. 1991; 76:131-134. Behbehani R. Clinical approach to optic neuropathies. Clin Ophthalmol. 2007; 3:233-246. Apkarian P. Albinism. In: Heckenlively JR, Arden GB (eds): Principles and practice of clinical electrophysiology of vision. Mosby, St. Louis (1991) 773-782. Beneish R, Lachapelle P, Polomeno R, Lake N. Pattern VEP differences in strabismic and anisometropic amblyopia. Clin Vision Sci. 1990; 5:271-283.